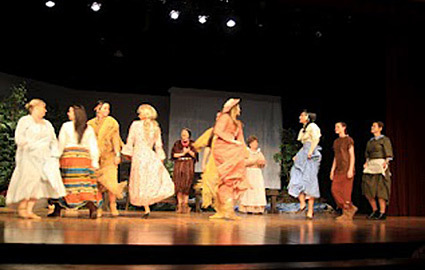 Click here for a peek backstage! 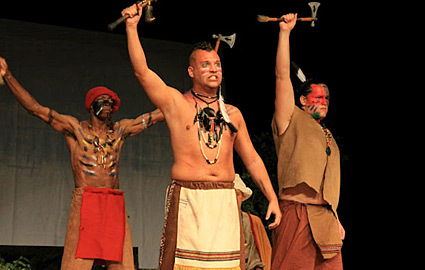 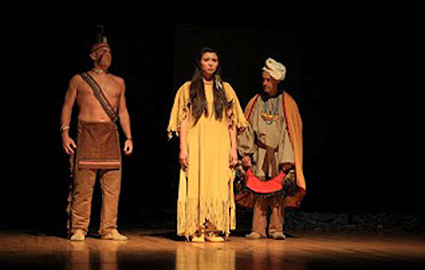 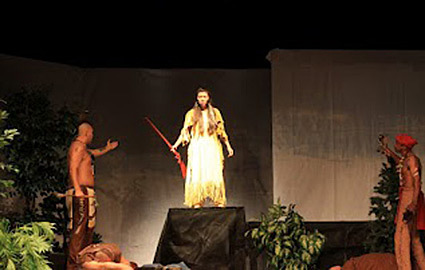 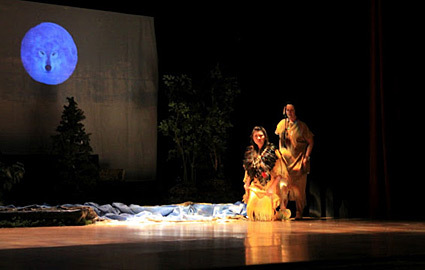 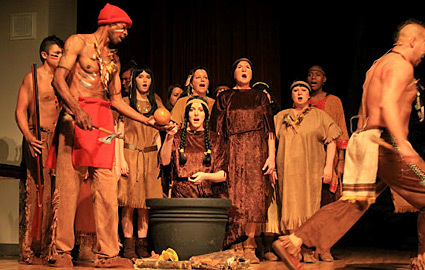 We received six Standing O's at our six World Premier performances of NANYEHI-BELOVED WOMAN OF THE CHEROKEE in Hartwell, GA in April, 2012! 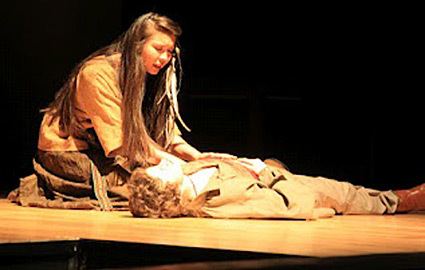 Michelle Honaker did an amazing job portraying Nancy Ward. 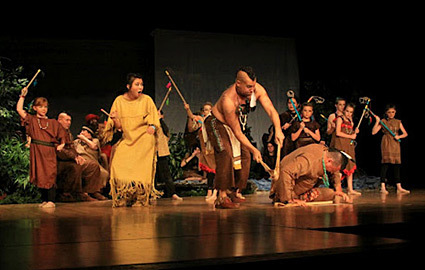 We had a terrific cast of 40 actors, singers and dancers.